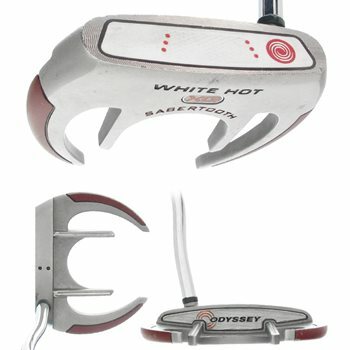 The Odyssey White Hot XG Sabertooth putter provides a high Moment of Inertia, which reduces twisting during the stroke for more accurate putts. Its Dual Fangs position more weight to the perimeter to keep the stroke online. The XG Series features a multi-layer insert, inspired by today''s multi-layered golf balls. The elastomer core is very soft and resilient, while the thin outer layer is firmer for greater responsiveness. The Aiming Channels provide excellent alignment.